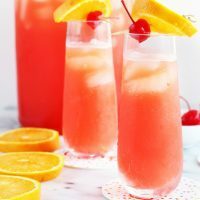 Tequila Sunrise Champagne Punch is a bubbly spin on the classic tropical cocktail that packs an extra special boozy kick. 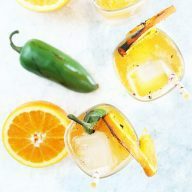 When it comes to summer gatherings, from Cinco de Mayo to a weekend patio brunch, you’ll find yourself winning over a crowd with this oh-so easy and oh-so tasty drink. Cheers! Not to mention Cinco de Mayo is on Saturday, I wrapped up an epic bachelorette party last weekend, and the coming weeks are going to be full of celebration and F-U-N. 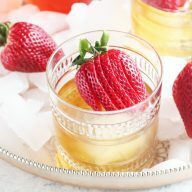 So since I am in a particularly festive mood, I thought it was high time for a bubbly, boozy and tasty champagne punch to imbibe in during all the festivities. 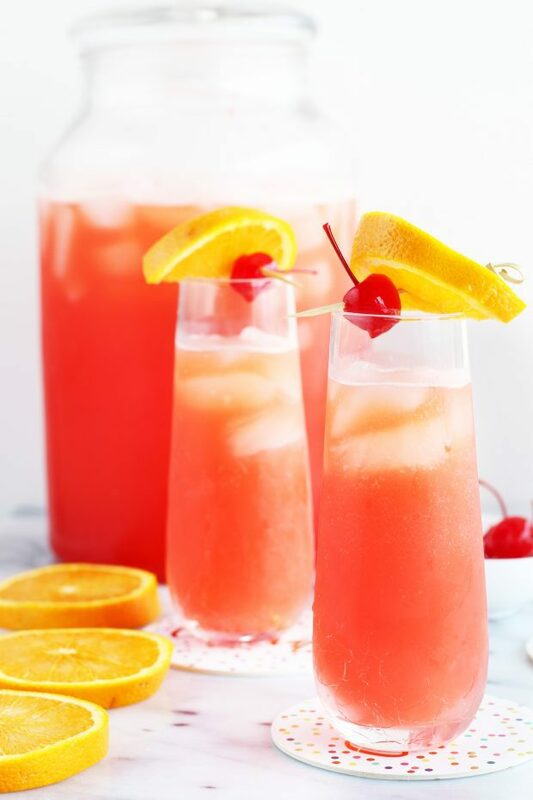 I am not normally one for sweet drinks, but I have to admit that I have a special place in my heart for the tequila sunrise. Every time I sip on one, I am usually somewhere tropical, enjoying a pool or the beach, and feeling like I am in heaven. I rarely make them for myself when I am home, because I love to save that taste for something really special. Don’t get me wrong, I am SUPER excited to go to Alaska for our honeymoon, but I have to get my taste of tropical, sunny happiness where I can. 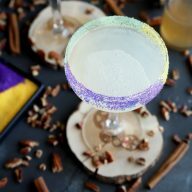 SO, being the impatient lady that I am, I whipped up the classic tequila cocktail… but with a twist. 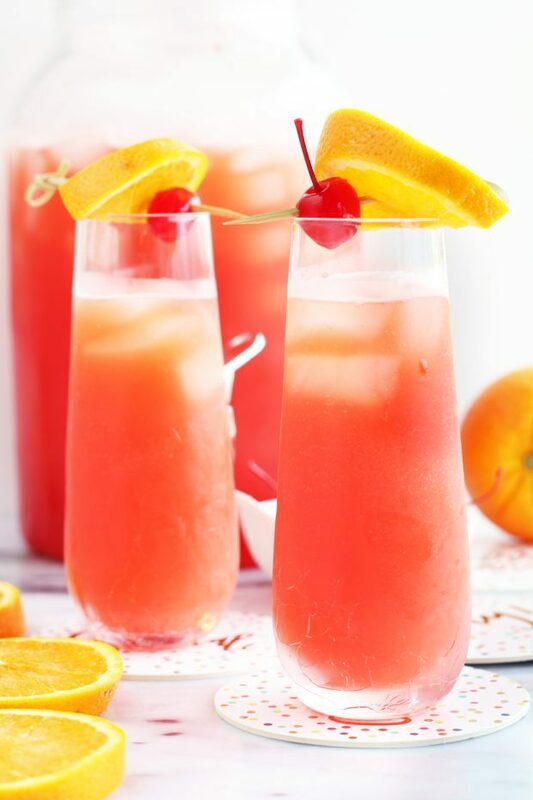 All of the flavors you love in a tequila sunrise are in this cocktail, but they are amplified even more with the addition of champagne. The bubbles help lighten up the overall sweetness of the typical recipe for the cocktail, and I love the extra kick you get from two types of booze. Plus, by making this champagne punch in bulk, you don’t have to be running around making cocktails to order. Instead you can kick back, enjoy whatever gathering you are at, and savor every sip – no matter if you are at the beach or you are fighting off the random cold days that pop up every so often (seriously though can someone stop the rain and cold here in Colorado already??). is the set that I love to have for gatherings, no matter what size. I am generally always using one for teas and lemonades, but it is so nice to have two when you have people over for different cocktails or other drinks for friends and family. OXO Good Grips Wooden Corner Spoon is always handy to have on hand for all sorts of cooking/drink making! Royal Bamboo Knot Toothpicks to garnish the champagne punch glasses perfectly with the colorful slice of orange and maraschino cherry. 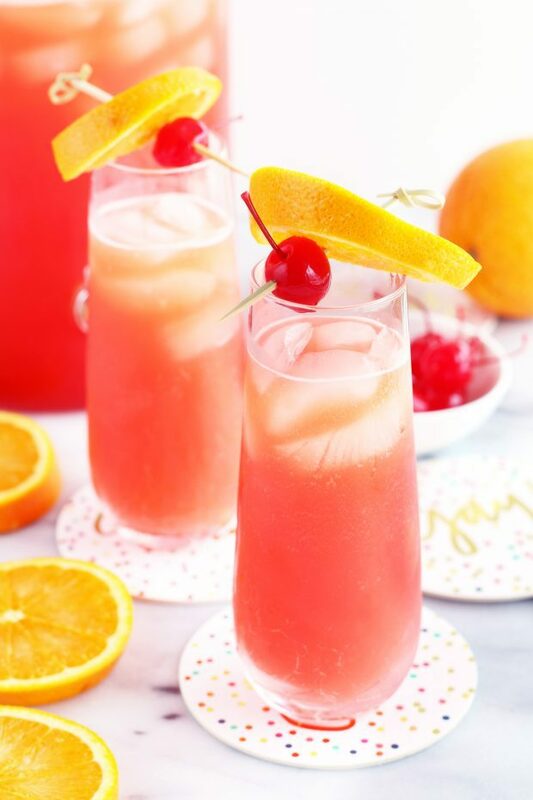 Pin this Tequila Sunrise Champagne Punch recipe for later! 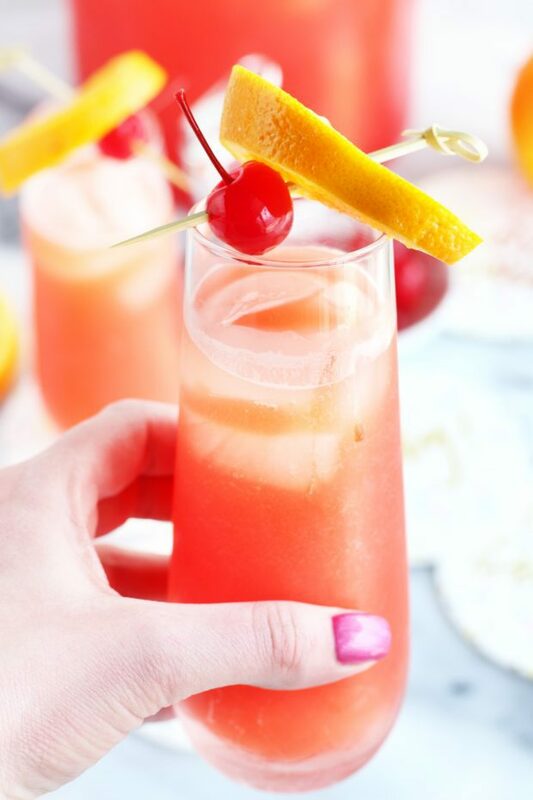 A tropical classic cocktail is made even better with the addition of champagne! This bubbly drink is perfect for a party. 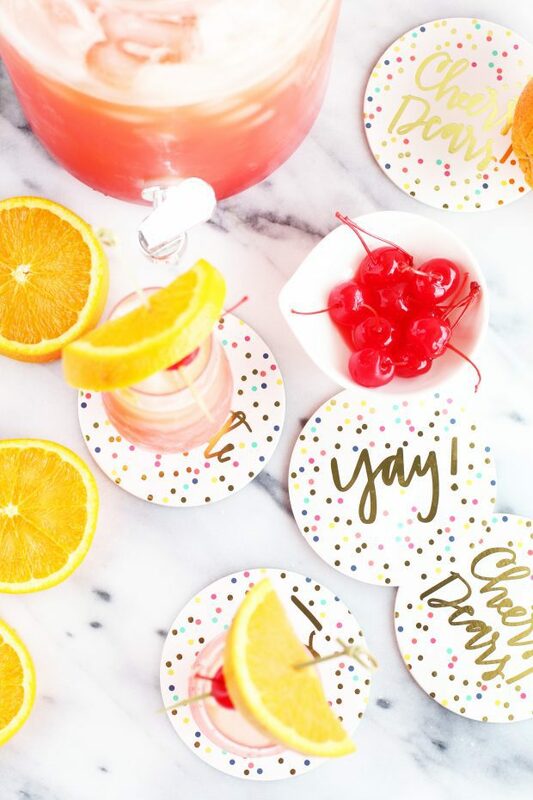 Add tequila, orange juice, pineapple juice and champagne to a pitcher or glass beverage dispenser. Fill the beverage dispenser with ice. 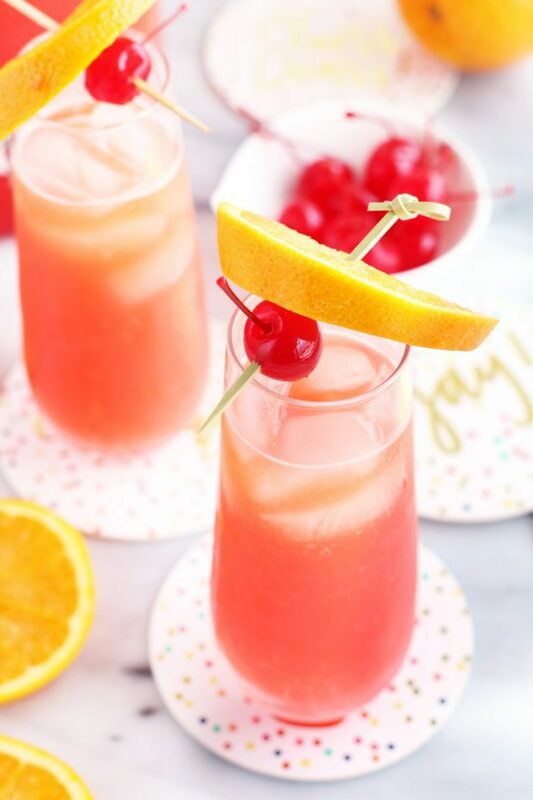 Slowly and carefully pour in the grenadine to get the classic effect of the tequila sunrise cocktail. Garnish with an orange slice and maraschino cherry on a toothpick. Serve immediately in glasses filled with ice. Oh girl! You are speaking my language. I love being able to have a fun drink during brunch! I am loving this drink! This will be perfect for a Mother’s Day brunch! To die for! Love how easy it is! I’m in love with this combo! What a pretty and refreshing punch! Perfect for Spring brunches! Now this is my kind of drink!! This is such a gorgeous drink! I can’t wait to give it a try!